Jacqueline A. Kelly has over 20 years of experience in pensions, health and welfare benefits, labor, and employment law. She concentrates her practice on multiemployer fringe benefit fund representation, with an emphasis on ERISA and IRC compliance, plan documentation, and counseling trustees. 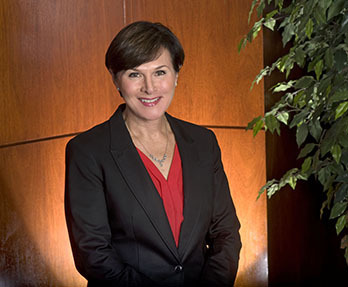 Jacqueline’s focus further includes issues of fiduciary responsibility, benefit claims, prohibited transactions, agreements with third party vendors, withdrawal liability, and merger issues. She works closely with administrators and trustees in the day-to-day operations of multiemployer fringe benefit funds. She also has significant involvement in complex ERISA litigation and provides counsel to clients in other areas of federal and state employment, benefit, and labor laws. Over the past several years, Jacqueline has been selected as one of Michigan’s Leading Lawyers, a distinction bestowed by her peers. In 2014, she was named one of Michigan Lawyers Weekly’s Women in the Law, a program dedicated to saluting high-achieving women lawyers in Michigan. Jacqueline has published articles in national trade and industry journals, including the International Foundation of Employee Benefits Journal, the Defense Law Journal and the University of Detroit Law Review. She has lectured on the Pension Protection Act of 2006, employment discrimination and benefits, and has been a speaker at the Annual Enrolled Actuaries Annual Meeting. She is a former Visiting Associate Professor of Law at the Detroit College of Law and former Legal Research and Writing Instructor at the University of Detroit Mercy School of Law. Jacqueline also served her community as an elected Member of the Beverly Hills Village Council and as a member of the Zoning Board of Appeals.